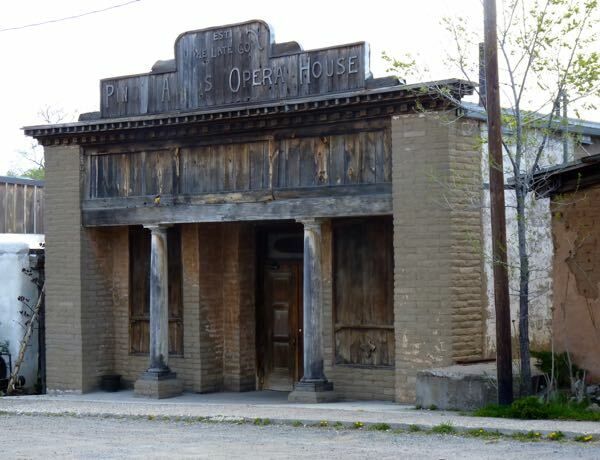 Six miles up the mountain from Silver City took me to the old gold mining ghost town of Piños Altos. 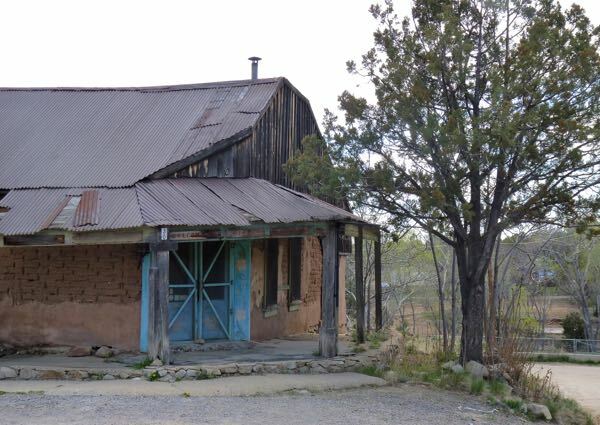 Once home to famed outlaw/judge Roy Bean; but, he was chased out of town for killing a man. The café where I had hoped to have lunch was out-of-business. People still live there; but, there wasn’t much left except a few old buildings, a church and a cemetery. 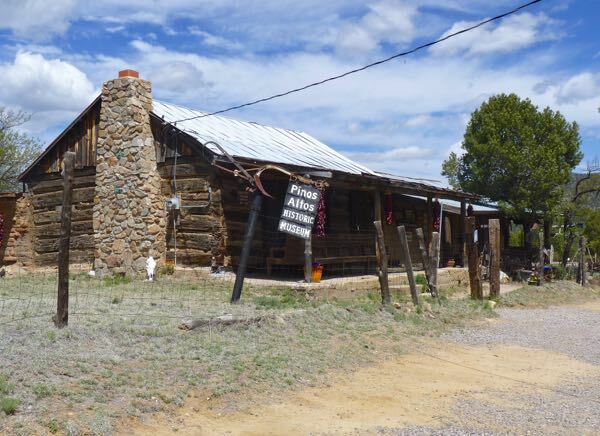 The Buckhorn Saloon, and the museum with curio shop were the only places open. 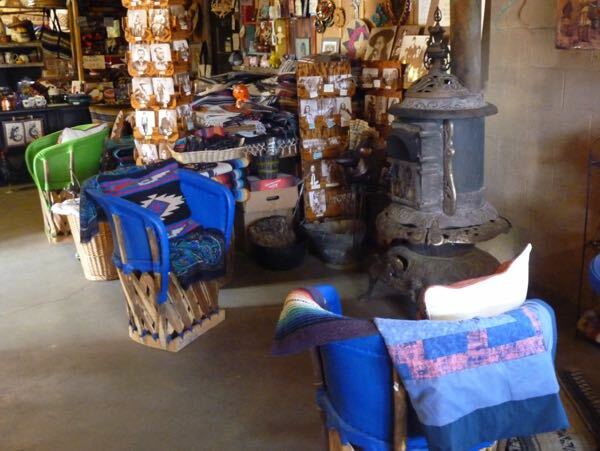 The inside of the curio had a potbelly stove, and lots of crafts. I found a small horsehair pot made by a Navajo native; a perfect size to adorn the lounge in Tardis. The night before my visit I camped in the forest south of Silver City. About a half mile in, on a sandy dirt road, there was a spot in a grassy clearing. The elevation made for pleasant temps, and it had a good internet signal. Note: NM-15 was a decent two-lane paved road 6 miles up to Piños Altos out of Silver City. Afterward, it gets narrow and iffy with tight switchbacks on the way toward Gila Cliff Dwellings National Monument. Signs warn “no vehicles over 20 ft”. I’ve heard that rocks and trees overhang portions; so, I wouldn’t recommend using it in a tall or long rig. 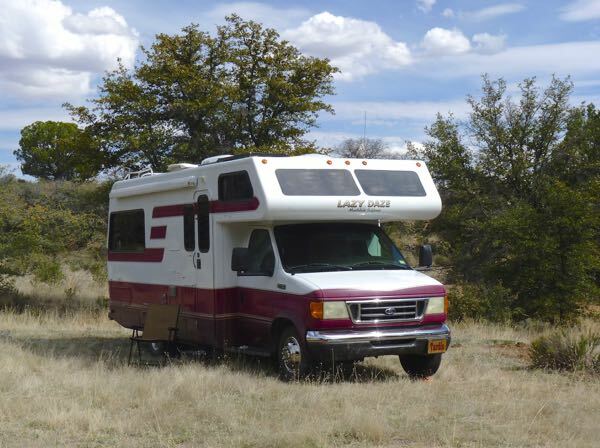 If going to the Cliff Dwellings in an RV, you should go via NM-152 and NM-35 through the town of Mimbres.